Bradley International Airport is ranked as the 15th worst airport for canceled flights by InsureMyTrip. Whether it’s spring break or summer vacations, all of us could use a little vacation. But airline travel can be stressful when you factor in flight cancellations. Connecticut’s Bradley International airport was among the 15th highest in the nation for flight cancellations due to bad storms and power outages, according to Insuremytrip.com. Last November, Bradley experienced several power outages that forced hundreds to miss their flights. "It was dark, everything was black and a sea of people. There had to be thousands and thousands of people,” said Kasie Provencal. "Power came on and then it went off and then it came on and then it went off. And I've been waiting ever since. I missed my flight. They boarded it and sent off while waiting online and they rescheduled,” said Mike Labonte. 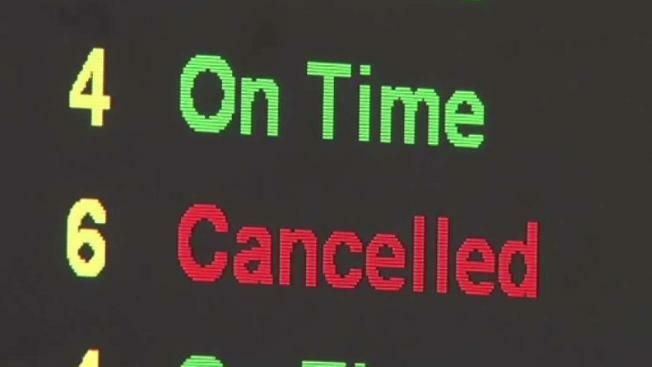 Airport officials say more than a handful of flights were canceled. Travel expert Charlie Leocha says this causes a domino effect for the rest of your travel itinerary. Leocha tells us flight cancellations can be detrimental to the airlines themselves. “DOT has got a special system set up for flight set up that are always late or canceled very often. If that happens, the airlines are penalized,” said Leocha. He has recommendations to consumers. “Always leave yourself time to make connections, if you’re connecting and if you got appointments going on, do not plan on arriving right on time,” Leocha said. Leocha added that his company is working to get airline passengers more compensation when it comes to delayed or canceled flights.